Contrary to popular belief, it’s not exactly swimsuit season here every month, but one of the many perks of living in a place like Los Angeles (most of us don’t relish in the whole, “swimsuits don’t have a season; they’re a way of life” notion) is that the weather is prime for posting up on a rooftop pretty much 360ish days a year. As long as you’re not afraid of heights, you’ve got an al fresco penthouse playground to take in the sweeping vistas of this crazy megapolis, sip on some mighty fine cocktails and delectable bites, and even take a dip or two. It’s hard not to notice DTLA’s ever changing skyline. Thanks to a new batch of high-rise buildings, there’s no shortage of stairways to heaven (who are we kidding, we’re taking the elevator!) to enhance your altitude. Freehand was part of the recent hotel wave taking downtown by storm and it’s easy to see why its 13 th floor, award-winning rooftop pool bar, Broken Shaker, has become a destination for handcrafted cocktails and small bites. Piscine use may be restricted to guests only, but from poolside morning yoga in the summer to live music that fills up select nights, there’s still plenty of room for you to shake things up. We suggest pairing the crispy shrimp and potato taco with the Let’s Get High (naturally! ), served in a highball, featuring Glenlivet Founders Reserve with Giffard apricot and Kimino yuzu bubbles, topped with farmers’ market Thai basil and kiwis, served over ice. It’s as refreshing as the view! 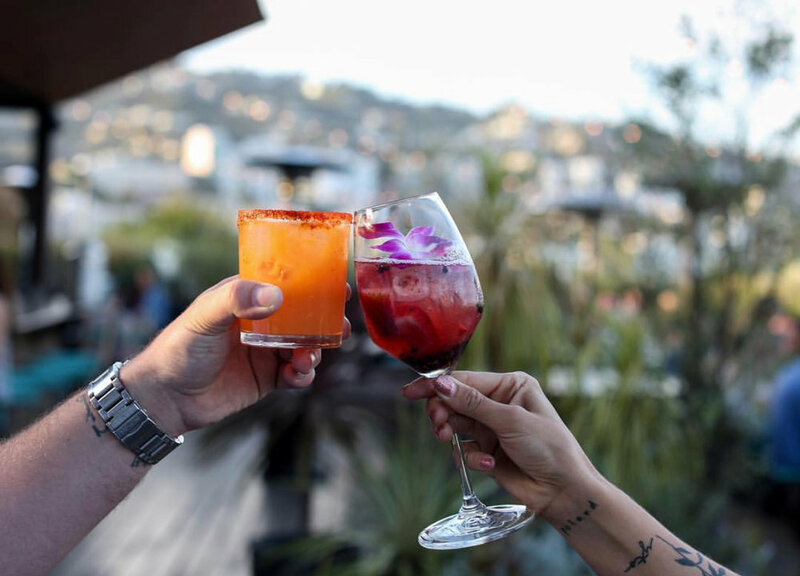 Make it a rooftop crawl! Check out this Yelp Collection of additional DTLA rooftops. If you want a slice of sunset with your cinema, head over to E.P. & L.P. for Melrose Rooftop Theatre Sun-Thurs every week through October 31. The intimate, star-studded affair provides a unique setting for catching your favorite or soon-to-be-favorite flick. Get comfy in the plush bean-bag chairs you practically melt into and if the temp drops even just a little, not to fret, as they have blankets at the ready. Wireless headphones are also provided so no noisy street traffic will mess with your viewing. The smell of popcorn wafts through the transformed car park, but level up your movie snacks by opting for the Express E.P. & L.P. menu of Asian-inspired street food and an adult beverage (or two!). Date night definitely just peaked. See more of the Hollywood Hills in this Yelp Collection that stretches from Hollywood to Beverly Hills. 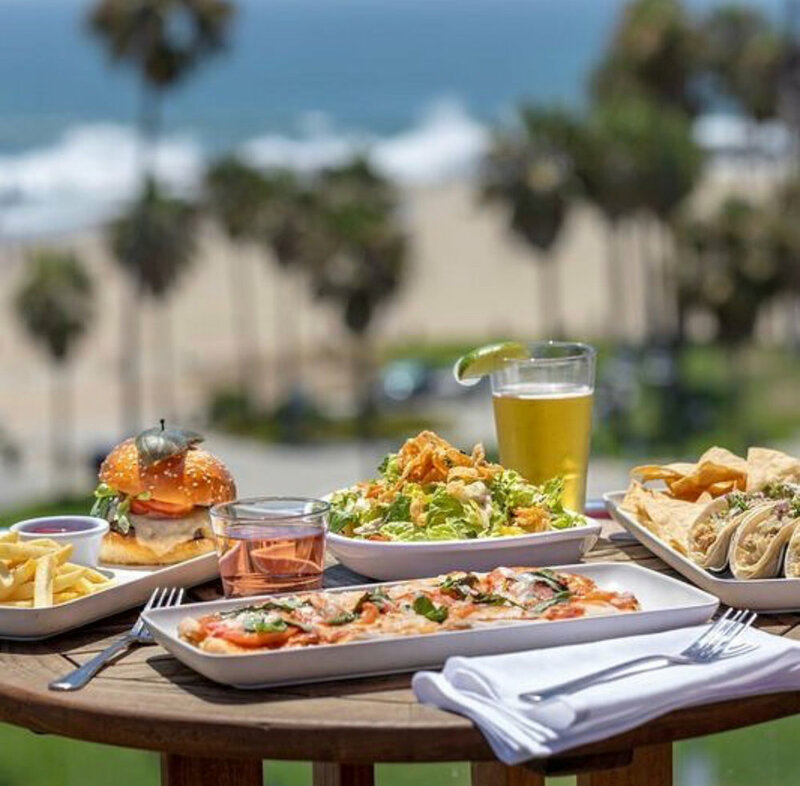 A visit to the beach wouldn’t be complete without popping up to High Rooftop Lounge, Venice’s unparalleled (seriously, the only one we can find boasting a 90291 zip code) spot for beautiful beach panorama as far as the eye can sea. 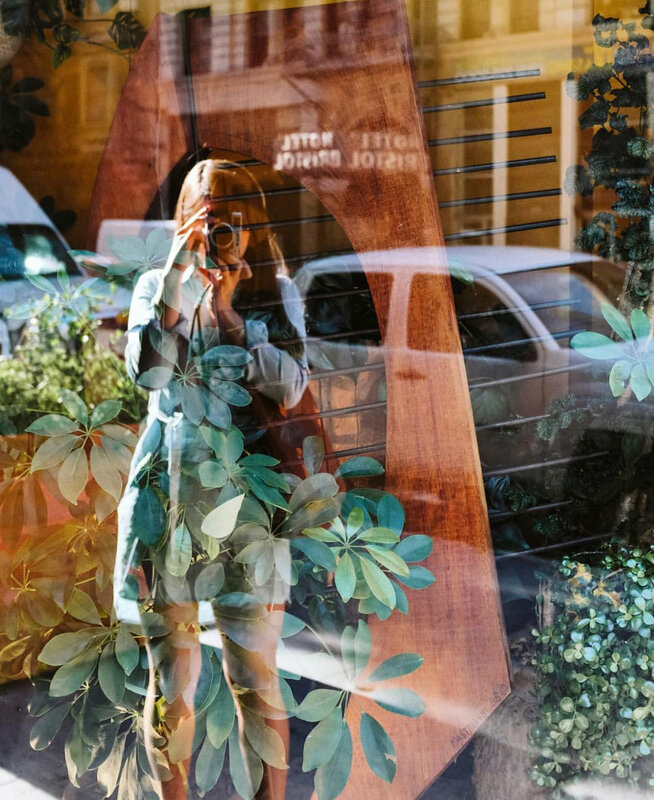 Whether you need a meditative moment to escape the wrath of your inbox or you want a lively scene where you can equally forget your workday worries, you’ll find it at Hotel Erwin’s Pacific lookout. It’s a nice respite from its boardwalk brethren and nothing puts a punctuation on the end of the day like a glass of wine and the sound of waves crashing! Pacific views may be limited, but we’ve rounded ‘em up in this Yelp Collection.